Beginning musicians often struggle trying to manage all the moving pieces that must come together when you make music: the chord shapes, the strumming, the singing, and the tempo! Rather than giving you a modern song that you may or may not be familiar with, we start out nice and slow with a one-chord song—one you already know—so you can get comfortable managing all of these new skills. I’m lucky to live in Silicon Valley, an area of incredible cultural diversity. Many of my students have moved here from different states and different countries, and that means every single one of us has a unique musical background with varied genre preferences. Folk songs, with their globe-trotting melodies and rhythms, are unifying in a way that most popular American music isn’t. Many of the songs I use have fun, simple, and/or memorable lyrics, making them easier to master. When you can quickly memorize a song’s lyrics, your brain suddenly finds it a lot easier to manage the chord changes and the strumming. I’d wager that when most people think of folk music, they imagine quaint, outdated songs that hold little appeal for modern tastes. But folk music is not a relic of the past. What were the first songs you learned as a child? Odds are, they were folk songs! If you grew up in the US, there’s a good chance that Twinkle, Twinkle, Little Star was one of the first songs you learned to sing, and if you’re a parent, you’ve almost certainly sung it to your own children. Its original verses were written by Ann Taylor and published in 1806, meaning that this song predates the bicycle, photography, and the entire Industrial Revolution! Generations of families have been singing this song for over 200 years, and now we get to continue that tradition. Just thinking about that takes my breath away. 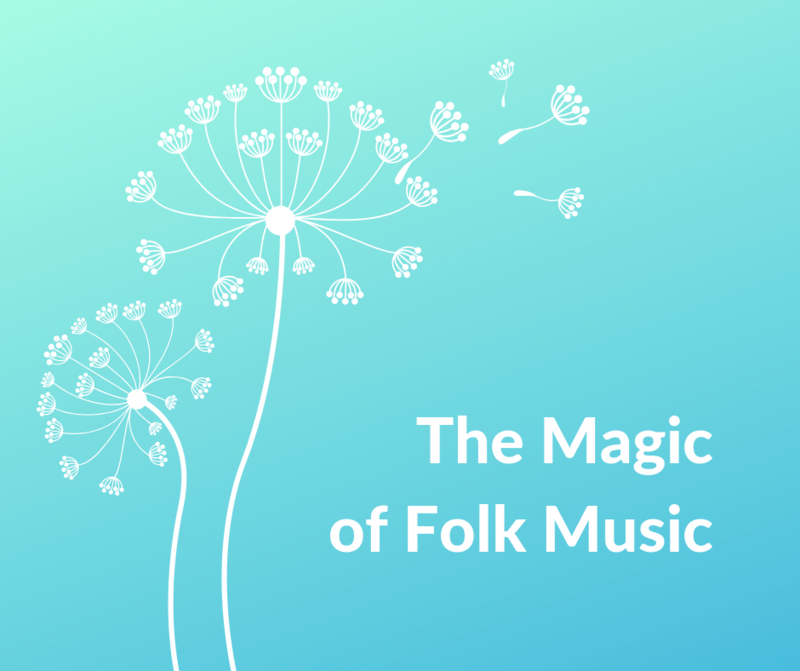 Do you like folk music? If not, have any of these reasons swayed you at all? Let me know! I’m planning to share some of my favorite folk songs on the blog in the upcoming months.